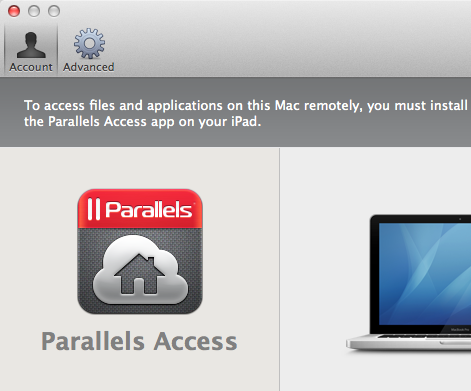 I work with my Mac applications through Parallels Access, how can I make sure my Mac is always online? Make sure your Mac is plugged in and turned on. 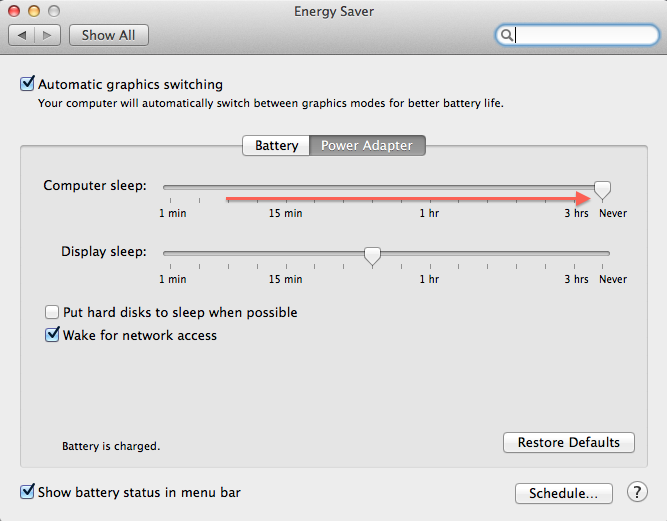 Make sure the Energy Saver settings of your Mac are set to never go to Sleep mode. 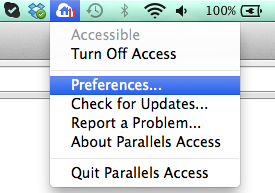 Drag the slider of the "Computer sleep" option to "Never"
Parallels Access cannot connect to your Mac when it is in Sleep Mode. Do not close the lid of your portable Mac (MacBook Pro or MacBook Air). Your portable Mac will go to Sleep Mode regardless of your Energy Saver settings when you close the lid. 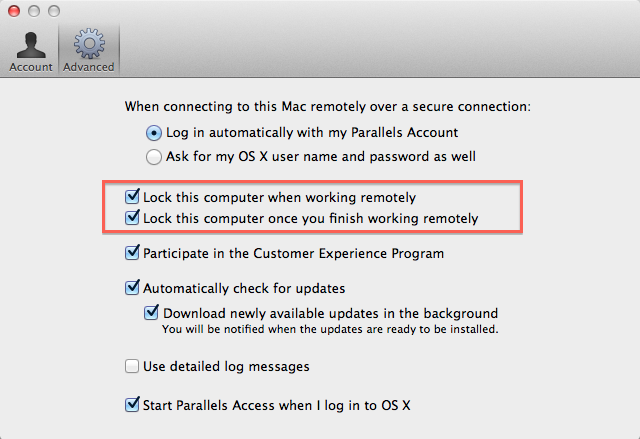 Click on Parallels Access Agent tray icon in Mac toolbar, choose "Preferences"
Check "Lock this computer when working remotely" and "Lock this computer once you finish working remotely" checkboxes.